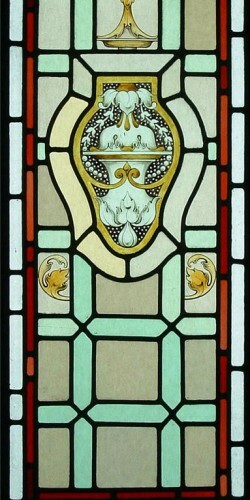 An important facet of the stained glass studios work concerns the upkeep of our stained glass heritage; whether it be the in situ replacement of individual pieces of a damaged window, the removal and complete restoration of part or all of a window, or the conservation of the fabric of a stained glass window (the lead camb and the glass) in its entirety. 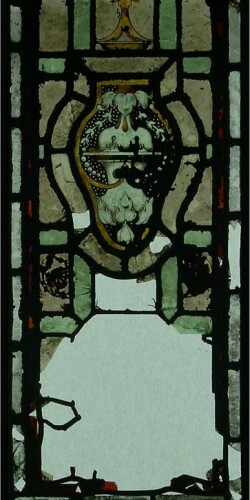 The example here is from the memorial window at St. Cuthbert’s church in Brislington, Bristol, which had been damaged by vandals. 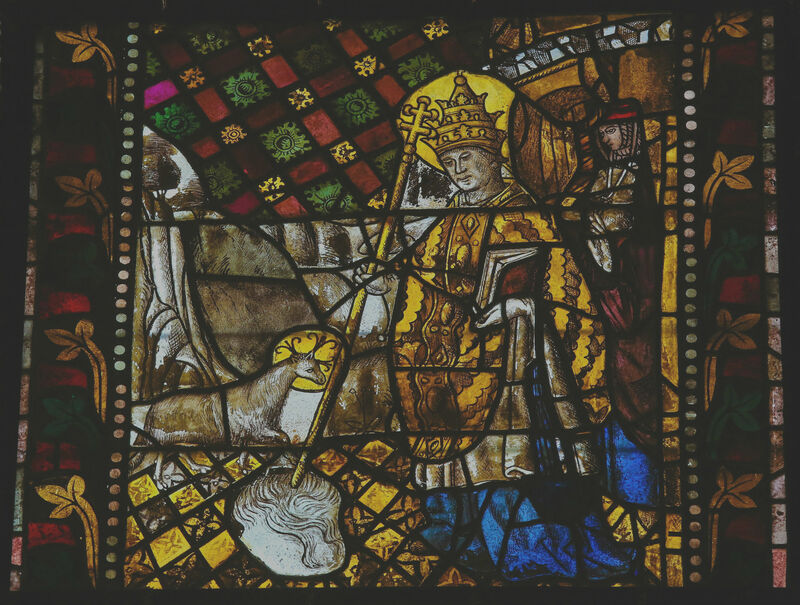 Although several individual pieces of glass were broken, the lead work and basic fabric of the window was sound and so it was decided to make all the repairs in situ, thus retaining, as far as possible, the integrity of the window. All the fragments of broken glass were carefully removed from the window and their position noted. Then, together with further fragments rescued from the floor by church officials, they were taken back to the studio. Next came the painstaking task of arranging all the fragments for assessment. 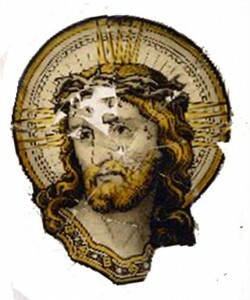 In the case of the Head of Christ, shown above, due to the extent of the damage, and the fact that much of the original glass was missing, it was decided that a replacement piece would have to be made. The remaining fragments of glass were put together on a light table and held in place with invisible tape. 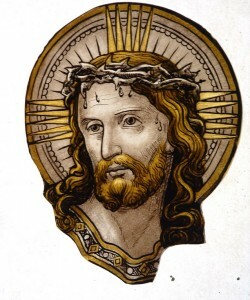 Next we undertook the detective work to ascertain the exact tint of glass and, as far as possible, the techniques of painting and staining employed by the original artist. This concerns the colour of glass paint used; applications e.g. tracing, matting, freehand toning, sgraffitto; medium used, e.g. water, oil, vinegar; colour and application of stain; and number of firings. When all this information was gathered a new piece of the appropriate tint of glass was cut from a rubbing taken from the window and the piece was meticulously copied, employing, as honestly as possible, the original techniques and firing sequences. Once the piece was completed, and we were totally satisfied with the result, it was carefully fitted into place and weatherproofed with blackened putty. The result is a repair that blends in, harmoniously, with its surroundings.